Hunter Cable Assemby (HCAL) manufacture highly durable, ruggedised cable assemblies for a wide range of military, industrial and out-door applications. 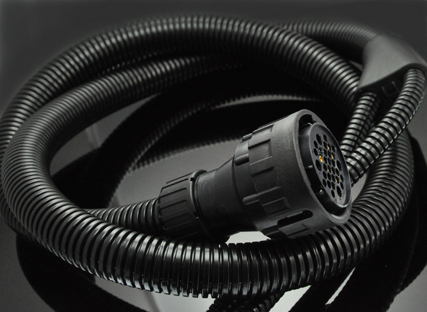 Hunter Cable Assembly Ruggedised Products are designed to provide a durable, high-performance solution for applications not well suited to traditional assemblies. Ruggedised products incorporate high quality components and materials with the latest technology in rugged jacketing, packaging, and manufacturing methods to create a one-of-a-kind product well suited for the rigors of daily use in manufacturing, automation, and harsh environment situations. Every assembly is tested to very high tolerances and rigorous specifications, ensuring durability, and longevity. We have the knowledge and expertise to supply quality cable harnesses from RF cables assemblies for mass production or very robust cables for military applications. HCAL range of waterproof connectors utilise advanced technology developed to offer greater reliability in extreme environments including dust, water, sand, oils and contaminants in the military environment.